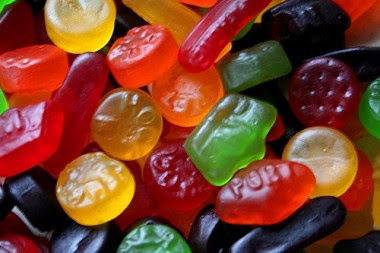 What are your favourite sweeties? I like chocoalte. Plain or milk. I like Thornton's best. But Galaxy and Dairy Milk are good. But a bar of chocolate has to be a bar of just chocolate - not with all those different flavours and biscuity things in them. I do love Snickers Bars but they are not chocolate bars. They are Snickers Bars. Mars Bars are ok occasionally. I can't stand white chocolate as it is too sickly. Even if I was craving chocolate and all there was in the world was white chocolate I couldn't eat it. Re: What are your favourite sweeties? Best chocolate bars on earth are Ruffle Bars. Followed by Bountys. Or is it Bounties? Best actual sweets are sherbert lemons. A friend came round yesterday and brought me a bag of Butterscotch. I'm not really a fan so I might give them to someone else. I've never tried a Ruffles Bar but will give it a go on your recommendation Jockice. I like sherbert lemons too. And butterscotch. Butterscotch is delish. My initial answer to 'what are your favourite sweeties' would probably be 'just about all of them' but I can refine my tastes.. If you're talking 'Jamesons' Raspberry Ruffles', these also come as individually wrapped sweets in a bag as well as single bars. I also love 'kids' sweets' like dolly mixtures, jelly babies and anything fizzy (eg lemonade cables, Sherbert Dib-Dabs, Refreshers, Haribo Tangfastics). 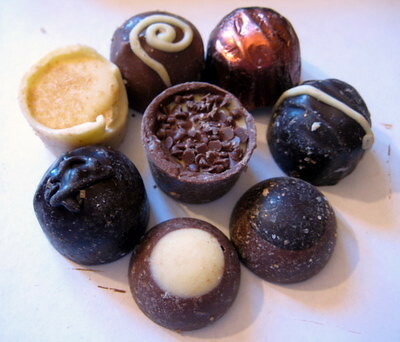 Any fans of Lily O'Brien chocolates? Chocolate (Dark) covered Ginger Yummy ! I haven't seen them - where are they sold? As children, my sister and I used to have a Selection Stocking each Christmas and they always contained a Bounty Bar. Neither of us liked Bounty but our mother did, so we always used to give the Bounty Bar to her. As an adult, I really like Bounty Bars - milk or plain. When I was pregnant - twenty nine years ago - every day I used to have a chocolate bar which was like Bounty but also had cherries in it. I can't remember what it was called but is isn't made any more. Best chocolate bars on earth are Ruffle Bars. I used to love those! I haven't seen one in years - where do you find them these days? Used to love those too. Does anyone remember when you could buy Milk Tray chocolates formed into a bar? And Bar Six - six chocolate-covered wafers in a bar? And IceBreakers, Caramacs, Aztecs, Buttersnaps (similar to Daim bars) and Lucky Bags? These days I like Maltesers, Fry's Chocolate Cremes and Cadbury's Giant Buttons - for my inner child. "Best chocolate bars on earth are Ruffle Bars. I used to love those! I haven't seen one in years - where do you find them these days?" They've been hard to find for years. There's a newsagents called Humphries near me that sells them though. And plain Bountys. You can sometimes find the bags of raspberry ruffles in petrol stations. There are mint versions of Ruffle Bars too. An ex-colleague once got me some from a cash and carry place. I've got back into these recently. The former are on offer in Tesco. Four for a quid. Can't go wrong there. Although the person who brought me the butterscotch yesterday took one home with her.